The Bluegrass State is home to six universities that offer master's level communication programs. With mainly on-campus programs available, and a couple of online or hybrid options for students to consider, aspiring communication experts have the opportunity to specialize in organizational communication, public relations, mass communication, healthcare and other areas of the communication field. Graduates of master's in communication programs may seek employment in one of Kentucky's major industries, such as agriculture, automotive, healthcare or food and beverage. Fortune 500 companies with major operations in Kentucky include Yum! Brands, Kindred Healthcare, Ford Motor Company, UPS, and Humana Inc.
Keep reading for details on all of the master's in communication programs offered in Kentucky. Bellarmine University offers a Master of Arts in Communication program on their campus in Louisville. What to Know: The Master of Arts in Communication program was designed to accommodate working professionals as well as full-time students. Full-time students enroll in the fall semester and take four classes per term for fall and spring semesters followed by two courses in the summer session. Part-time students may take one or two courses per term until they finish the program. What Does It Cost? : Graduate level tuition for the 2018-2019 academic year is $760 per credit hour for the Master of Arts in Communication program. Anything Else? : While a concentration is not required for this program, students may elect to concentrate in Healthcare Communication. Murray State University in Murray offers Master of Arts or Science in Mass Communication or Public Relation as traditional on campus programs, in addition to a Master of Arts or Science in Organizational Communication that may be taken full online, in person or in a hybrid format. What to Know: The Master of Arts or Science in Mass Communication or Public Relations programs are 31-credit hour programs that culminate in a comprehensive final project. The Master of Arts in Organizational Communication program is a 33-credit hour program that culminates in an oral defense of a thesis, and the Master of Science in Organizational Communication program is a 31-credit hour program that culminates in a comprehensive examination. What Does It Cost? : Graduate level tuition for the 2018-2019 academic year is $544 per credit hour for Kentucky and regional residents, $800 per credit hour for non-residents and $644 per credit hour for online programs. Anything Else? : Applications are reviewed on a rolling basis for all programs at Murray State University. Northern Kentucky University in Highland Heights offers a Master of Arts in Communication degree in an on campus format. What to Know: The Master of Arts in Communication program is a theory and research-based program that is designed for working professionals in addition to full-time graduate students. What Does It Cost? : Graduate level tuition for the 2018-2019 academic year is $584 per credit hour for Kentucky residents, $703 per credit hour for Ohio or Indiana residents and $898 per credit hour for non-residents. Anything Else? : The priority application deadline for admission in the fall is February 1, but applications are reviewed on a rolling basis throughout the year as long as there is availability in the program. The University of Kentucky in Lexington offers a Master of Arts in Communication program on its campus in Lexington. What to Know: The Master of Arts in Communication program is a 30-credit hour program that culminates in either a master's thesis or comprehensive written and oral exams. What Does It Cost? : Graduate level tuition and fees for the 2018-2019 academic year is $6,526 per semester for Kentucky residents and $15,682 per semester for non-residents. Some courses may have additional mandatory fees, and these costs do not include books or other supplies. Anything Else? : New graduate students are admitted to the fall semester only. The application deadline is January 5. The University of Louisville offers a Master of Arts in Communication program that can be taken either on campus or as a hybrid online/in-person program. What to Know: The Master of Arts in Communication program is a 37-credit hour program that culminates in a thesis or comprehensive exam. What Does It Cost? 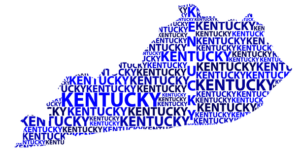 : Graduate level tuition for the 2018-2019 academic year is $705 per credit hour for Kentucky residents, $1,470 per credit hour for non-residents. Anything Else? : The program does not require an experiential component, but some students may choose to do a practicum in a private business, community organization or government agency that deals with communication in order to gain real-world experience while they study. Asbury University based in Wilmore offers an online Master of Arts in Communication: Digital Storytelling degree. What to Know: The Master of Arts in Communication: Digital Storytelling program may be taken fully online if students have taken undergraduate media courses and/or have extensive professional experience. For students with less experience in digital storytelling and communication, students may need to take some production-oriented courses on campus during two-week summer intensives. What Does It Cost? : Check with the bursar's office for the latest tuition and fees. Anything Else? : This program was designed with working professionals in mind and can be taken on a part-time basis to accommodate a full-time work schedule. Murray State University offers one of their master's programs, the M.A./M.S. in Organizational Communication as a distance learning program in addition to traditional classroom or hybrid formats. Learn more about Murray State University's online program option here.